The #MeToo fire raged on Tuesday, charring carefully built up reputations as more women narrated their experiences in the wide spectrum of sexual misconduct. 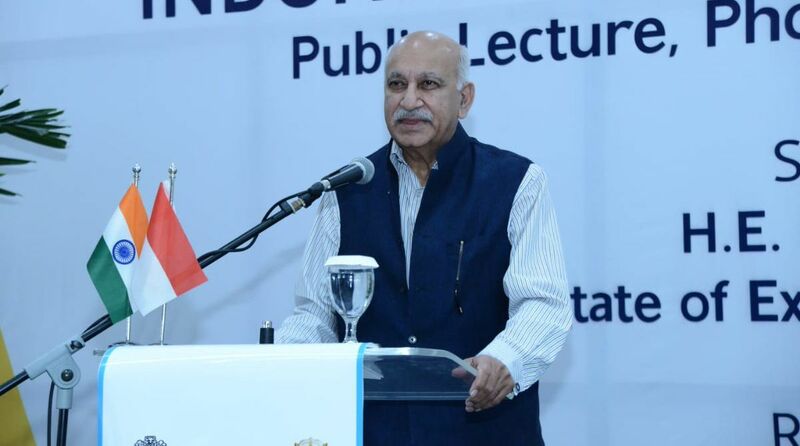 Among the names was journalist-turned-politician MJ Akbar, a minister in the Narendra Modi government. of the movement to call out those who had allegedly sexually harassed women were felt across the media and entertainment industry. Akbar has come under the media spotlight after many of his former women colleagues accused him of sexual misconduct on micro-blogging site Twitter in the wake of the ‘MeToo’ campaign in India. Swaraj evaded the media when a woman journalist asked her on the sidelines of a function organised by her ministry whether she would order a probe into the allegations against Akbar. Meanwhile, Union Minister for Women and Child Development Maneka Gandhi called for an investigation against Akbar, becoming the first BJP leader to say so. “There should be an investigation. Men in position of power often do this. This applies to media, politics and seniors working in companies. Now that women have started speaking out, we should take it seriously,” Maneka Gandhi told news channel India Today when asked to comment on the allegations. “Women are scared of speaking out thinking people will make fun of them or question their character. Now that women are speaking up we should take action on each and every allegation,” she added. Maneka Gandhi also posted a series of tweets asking harassed women to speak up. In a tweet, she called upon people to spread the word about #SHeBox, a government initiative to file complaints against sexual harassment at workplaces. “I request working women & organisations to help spread the word about #SHeBox http://www.shebox.nic.in/ , Government’s dedicated portal to file complaints of #SexualHarassmentAtWork. As the debate around what constitutes sexual harassment and concerns over due process intensified across newsrooms, drawing rooms and social media platforms, several senior journalists joined the list of those “named and shamed” by women. Expressing its gratitude and solidarity towards women journalists for their courage, the Editors Guild said in a statement that it was committed to ensuring that the legal rights the victims and the accused are not violated. a disadvantage in their careers, physical or mental trauma, as a result of any sexual predation,” it said. It may be mentioned that Indian laws clearly state that every organisation employing 10 or more people should set up an Internal Complaints Committee to hear complaints of sexual harassment at work. The Supreme Court has laid down Vishaka guidelines defining what constitutes sexual harassment and the action that’s required to be taken once a complaint is filed.